How do you view God? Is he someone looking for a way to condemn you? Is he an out of touch old man who doesn't really know what it's like in our modern world? Is he too holy to soil himself with the concerns of mere mortals and has left it up to us to work everything out for ourselves? No. NO. NO! God chose to enter our world and experience it from the side of mortality. God chose to enter our world, not to condemn us, or it, but to redeem it and each of us. 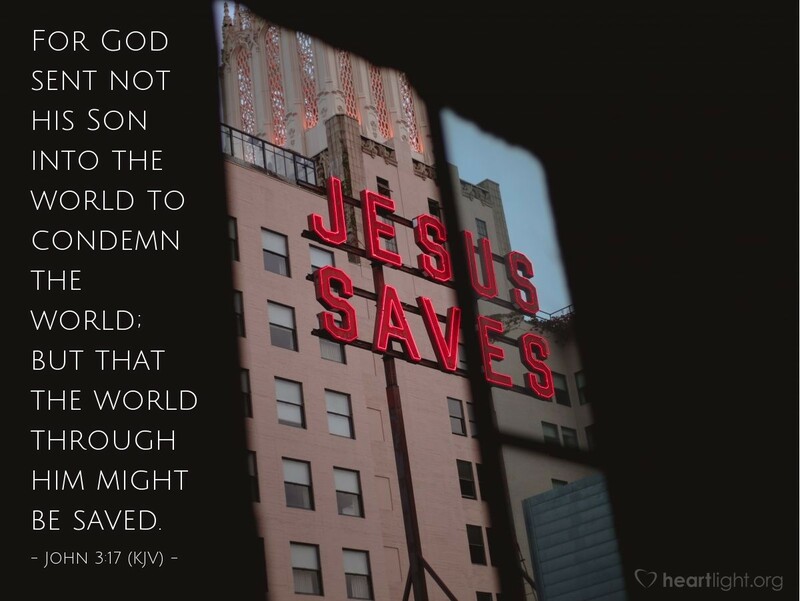 Jesus is the great reminder that God longs to save us, not condemn us. Thank God for God! Thank God for Jesus who was and is God with us. Holy and Heavenly God, thank you that you live with those of us who are contrite and repentant and who long for your presence. You know we are only mortal, but you love us. You know that we are flawed, but you redeemed us. You know that we are not perfect, but sent Jesus as the perfect sacrifice to save us. Thank you. Through my Savior I offer my sincerest gratitude and praise. Amen.